Many women who use our services leave behind everything they own just to escape. By donating, you’ll help us provide clothing, bedding, medicine, diapers, toiletries, and food and shelter. 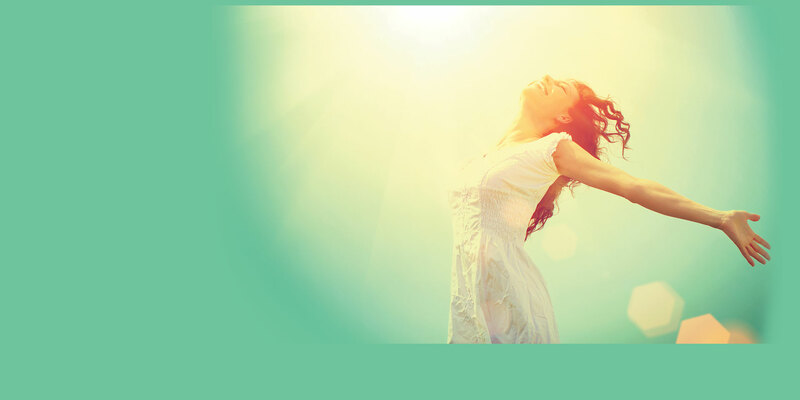 We are a 24 hour 7 day a week full service domestic violence shelter for women and children. 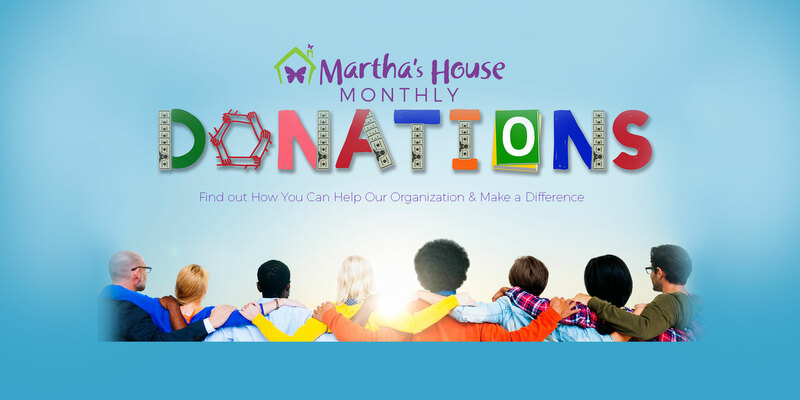 Martha’s House is passionate about helping families in need by assisting them every step of the way. Leaving an abusive relationship is more than just emotionally difficult. Many women who use our services leave behind everything they own just to escape. By donating, you’ll help us provide basic needs of the survivors we serve. 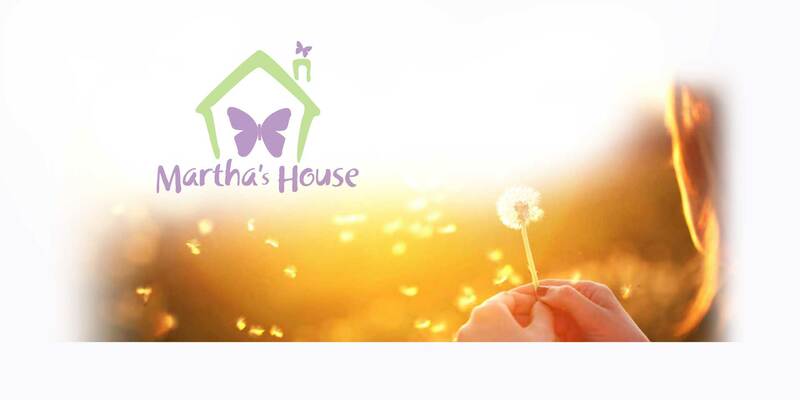 You’ll also make sure Martha’s House is open for business and properly staffed 24hrs a day 365 days a year.We can only continue to provide these services and helps through the generosity of the community’s financial support. Please consider a monetary donation today. Find out more about our organization, general facts and news about domestic abuse, and services information. 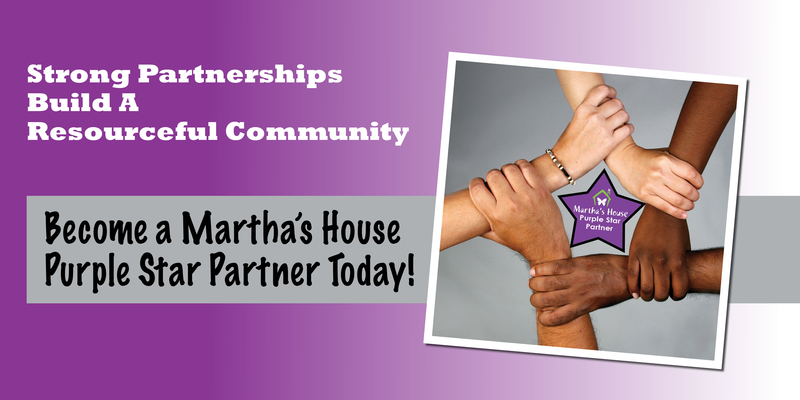 Martha’s House provides a wide range of supportive services designed to meet the individual’s self defined goals. Our main purpose of emergency services encompasses shelter, 24 hour crisis intervention, transportation, food, clothing, and access to donated items. Our general advocacy services help women with safety planning, court advocacy, Orders for Protection or Harassment Order assistance, referrals to area agencies, support and information groups, and individual support/advocacy. Martha’s House Domestic Violence Shelter and the Florida Coalition Against Domestic Violence (FCADV) teamed up to develop the Chobee Courage Project and the Your Courage Project curriculum. The purpose of these programs were to encourage boys that were mentored to take a stand against violence against women and girls through non-violent bystander intervention.